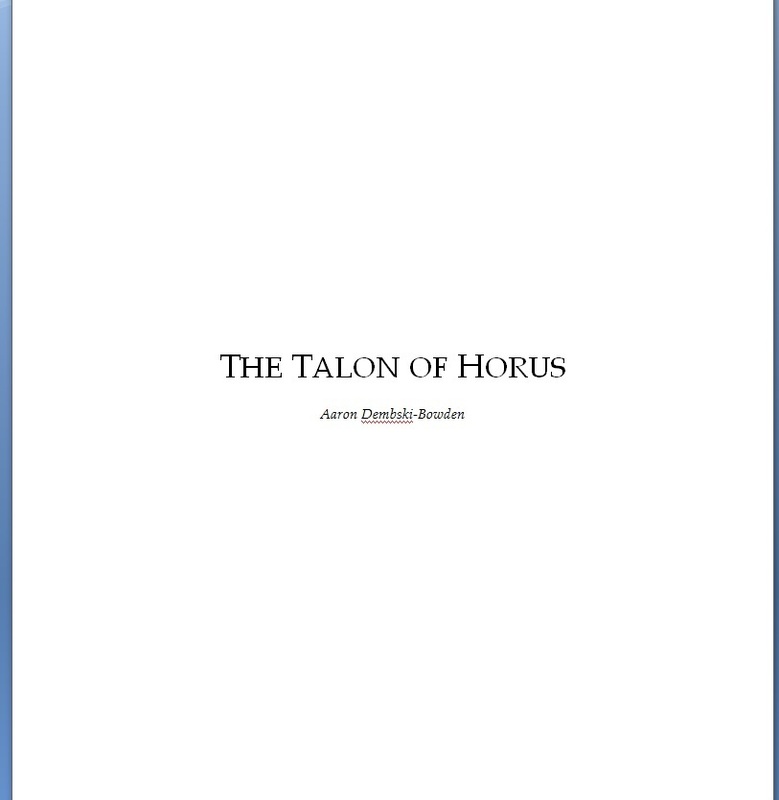 I can hardly believe it, but I started The Talon of Horus today. The book I’ve been wanting to write since forever. The rough plan (very, very rough, remember) is to open the Black Legion Series with a trilogy: The Talon of Horus, The Black Legion, and Chaos Ascendant. I’ve been saying it in interviews and on panels for years, and it’s such a rush now it’s finally coming to pass. The sheer scale of possibility has had me delaying this series a few times, because it’s the story of… everything. It could last for years and years. I originally pitched it as 2-3 novels, but my editors have mentioned that it might work better as a long-running series. “Your ‘Gaunt’s Ghosts‘,” are the words being used. The scale terrified me, the way it would terrify anyone with at least half an eye towards all the possibilities on the table. It’s the story of the Chaos Marines after the Scouring, from the first years of the Legion Wars in the Eye of Terror, right up to… well, that’s the thing. Right up to wherever I want to take it. It could go anywhere. The story of the Black Legion is the story of the Chaos Marines themselves, the Armies of the Damned, across 10,000 years of spite, sin, and war. So. Here we go. The story of the last days of the Sons of Horus, driven to extinction by the Traitor Legions, yet reborn from the same bloodlines. I love how even my own Microsoft Word doesn’t recognise my surname as a real thing. 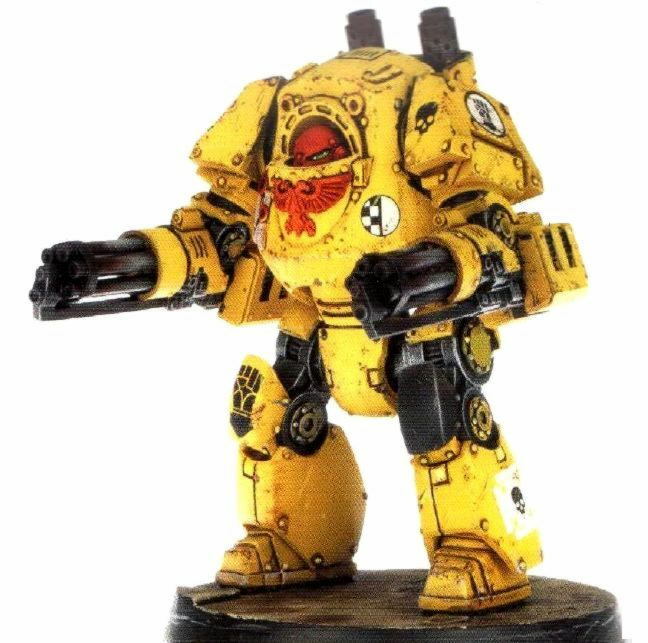 Since Forge World released the Contemptor-pattern Dreadnought, I’ve been extremely well aware that one of them is absolutely going to be a major, major character in my next Horus Heresy novel, Betrayer. I was originally tempted to try and get him on the cover, but in the end I wimped out and went with something reliable (and, I’ll add, absolutely brutal in the final showing). 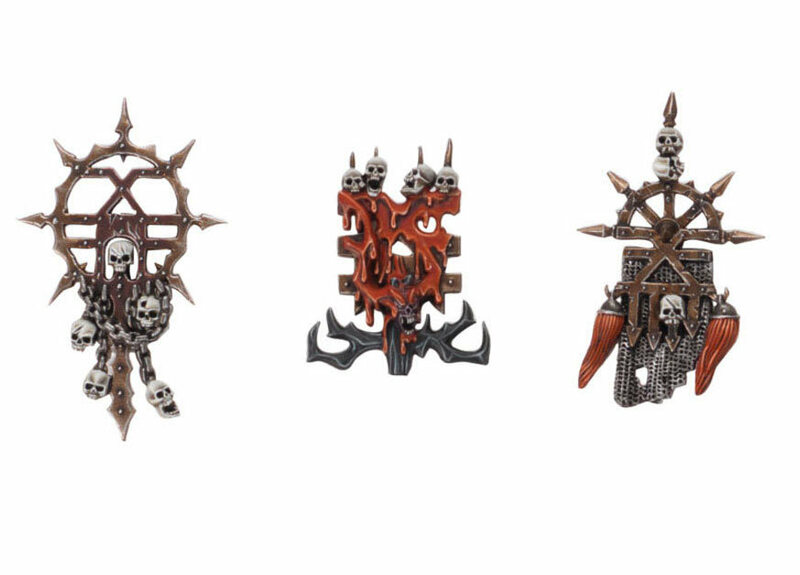 I also want one or two of them for my slow-growing Chaos Marine army because, hey, Forge World is totally cheap, right? And it’s not like I have a baby on the way in 4 weeks, is it? 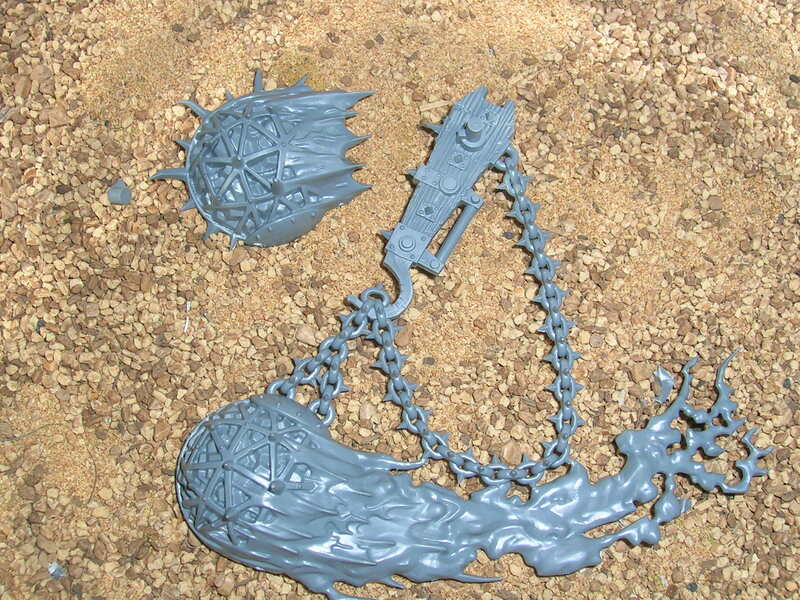 Now, using an age-old style of hobby craftsmanship that we call “copying”, I’m going to try and do that wickedly cool Skaven wrecking ball on my future Contemptor. 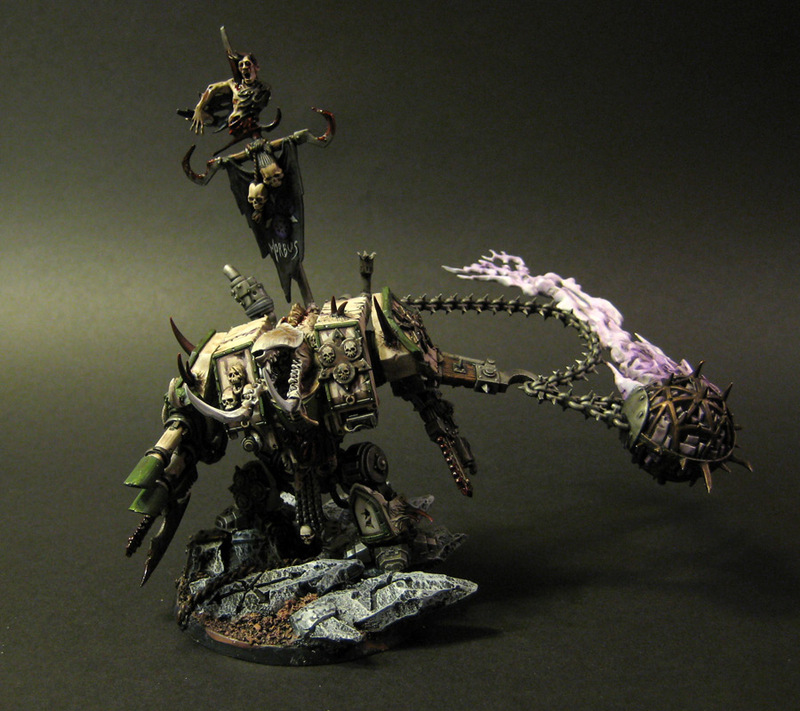 Of course, seeing rad stuff like this just makes me despise the people who have armies looking that good, but whatever. Let’s all be friends. No bitz sites had any spare bits, but a couple of people on my Facebook page (go click Like, ta) have already offered a helping hand on that score.